This flower has a load of visitors, aphids, fly and the Lady Bug. 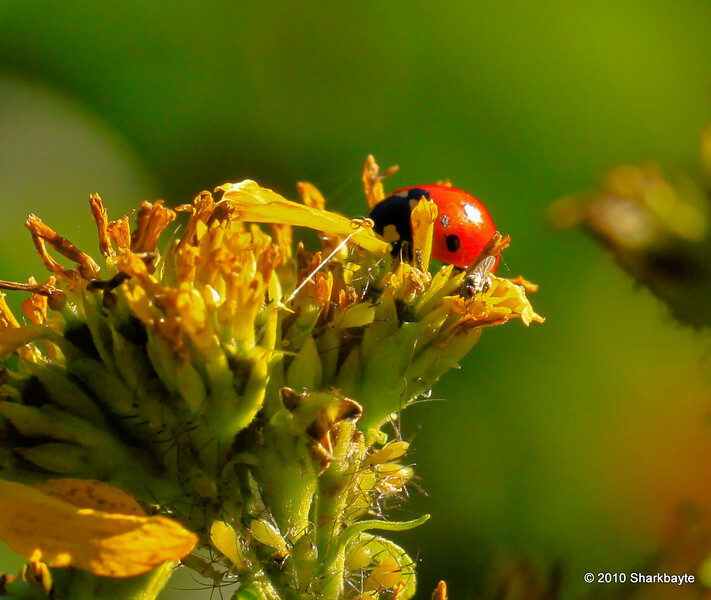 I believe this is a sevemn-spotted Lady Beetle Coccinella septempunctata. Looks like a feast for the lady! WOW!!! Incredible detail, color, and light! Very pretty; I love this!!! !